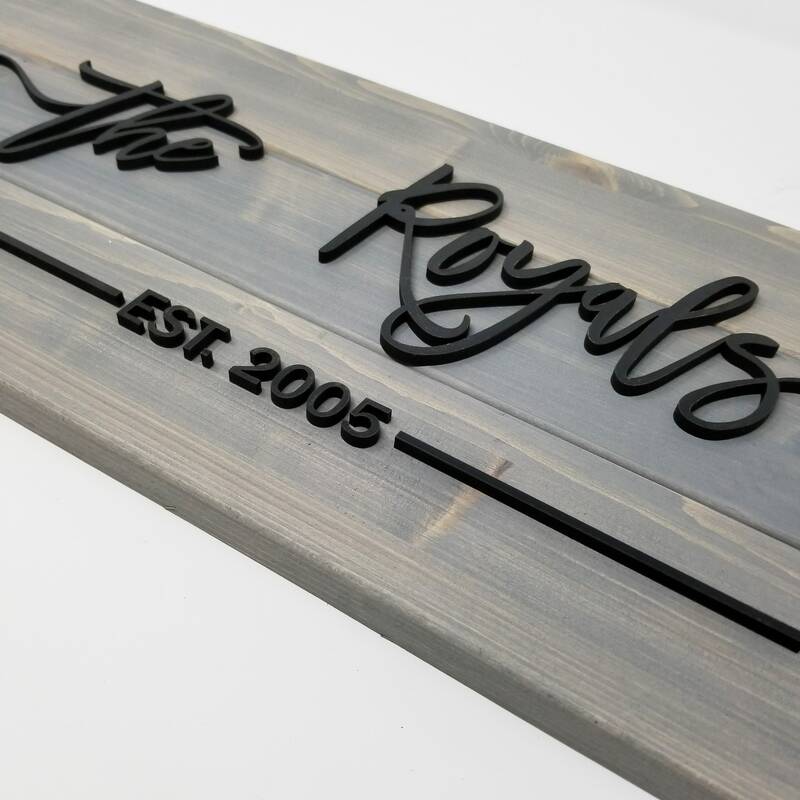 This sign is made from separate pieces of pine wood, stained in our weathered grey stain and fastened together. 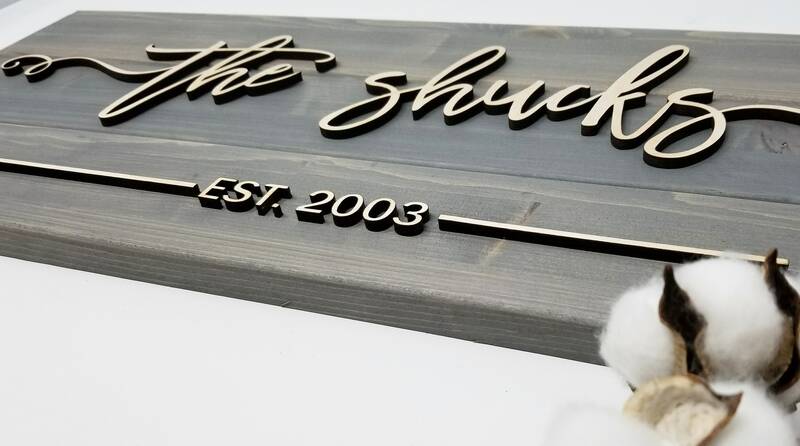 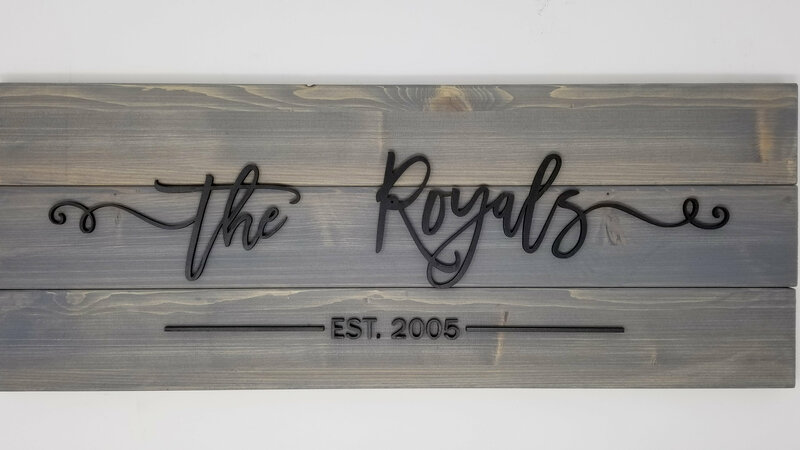 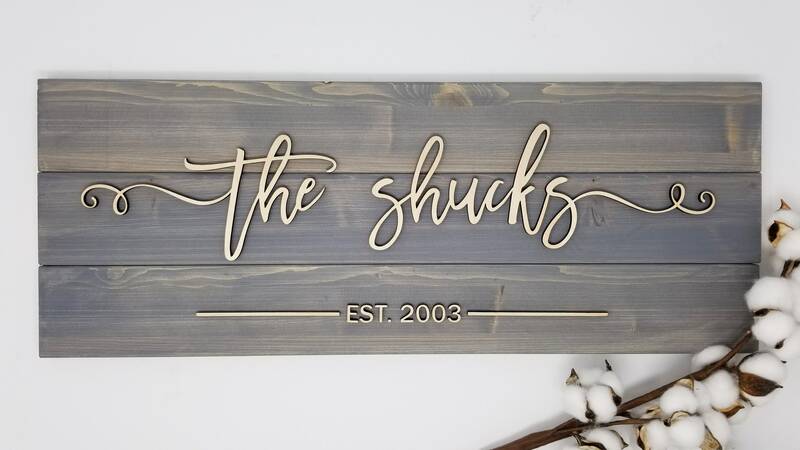 Then we laser cut your last name and wedding date out of the wood you choose and attach the names to the top, creating a stunning layered sign! 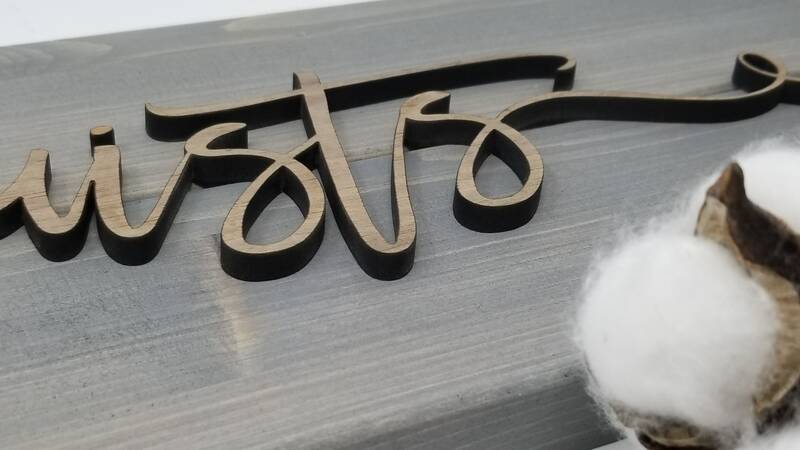 Name pictured is in black.